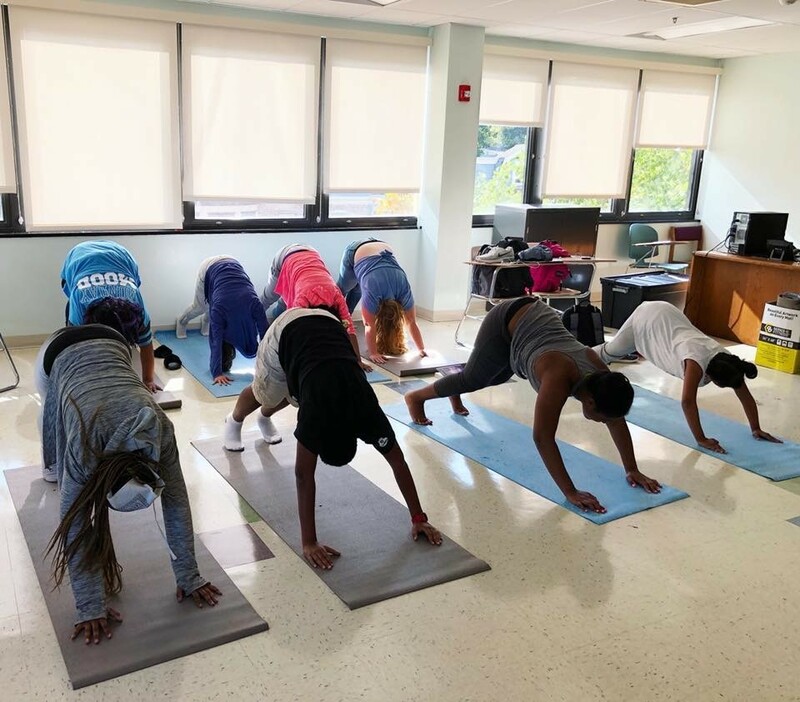 Students at Freire Charter School participate in yoga in a 21st Century Community Learning program. Information about the 21st Century grant and its upcoming competitive grant process appears in this month’s Department of Education Take Note eNewsletter. For information on the great things happening in schools across Delaware, sign up to receive Take Note: Education in the First State at http://www.doe.k12.de.us/takenote. Take Note is published the final Wednesday of each month. For several years Capital School District has actively engaged with community partners across Dover and beyond. So when the district’s leaders wanted to provide a comprehensive, seamless system of wraparound services for students in middle school – one of the most-critical times for many students – they already knew they wanted to involve some of their partner organizations. Capital Supervisor of Instruction Gene Montano and Central Middle School (CMS) Principal Shan Green reached out to non-profits with whom the district has had previous relationships. After discussing potential opportunities, they applied as a group for a 21st Century Community Learning Center (CCLC) grant, which provides funding to schools serving low-income populations and their partner organizations to develop before-school, after-school and summer care programs for students. Working with Junior Achievement of Delaware, Dover YMCA, Dover Police Department Athletic League, Wesley College and more, Capital created the CMS 21st Century Students with Amazing Goals (SWAG) program. SWAG is held after school every Monday through Thursday with one Friday a month open to support field trips and other enrichment activities. Through SWAG, Students receive homework assistance and access to real-world learning experiences. SWAG families are provided workshops and other support. Program content is developed based on data collected from surveys and forums conducted with students, families, staff and community members. For example, Junior Achievement of Delaware works with SWAG students to develop skills related to personal and professional finance, ethics, career exploration, job shadowing, and leadership. The YMCA brings trained staff to CMS to support summer enrichment activities. Wesley College provides college-aged mentors for students. The Police Athletic League (PAL) and Green Beret Project help SWAG students to become leaders who are goal-oriented and make good choices, while at the same time building positive relationships between CMS families and local law enforcement. “Our partners are a lifeline in continuing to make a positive difference in our students’ lives and are valued by Central Middle School,” Montano said. To date, CMS data has shown an increase in attendance, good behavior, school connectedness, homework, and grades among students who have attended SWAG for 30 days or more. Students at Freire Charter School Wilmington also gain from participating in 21st CCLC programs. Through a partnership with SummerCollab, The Delaware Contemporary Art Museum, Junior Achievement and others, Freire offers more than 30 different after-school and summer-learning options funded by the 21st CCLC grant. Freire was able to create its 21st Century program after the co-head of the school, Felicia Wenell, approached SummerCollab Executive Director Catherine Lindroth to explore summer enrichment opportunities. At the time, SummerCollab had been supporting summer programs for five years and had just completed the first year of Tyler’s Camp, an academy for middle school students. Tyler’s Camp allows Freire students to discover their talents in art, dance, rowing, music, basketball, wrestling, and lacrosse. Additionally, Freire students develop leadership skills by working with Strive: How You Lead Matters‘s character-driven leadership program. They also participate in hands-on, problem-solving activities to develop a growth mindset and communication skills. For these schools, the 21st CCLC programs have been a support during out-of-school hours as well as in the classroom. According to Way, a majority of CMS SWAG students have already experienced 21st CCLC programs – some since fifth grade. 1 p.m., Tuesday, October 16 at Collette Education Resource Center in Dover, Conference Room A. Applications from those who do not attend will be disqualified from RFP evaluation. See https://www.doe.k12.de.us/Page/1058 or contact john.hulse@doe.k12.de.us for more information.